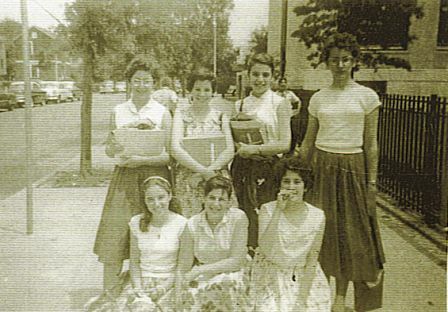 A few years ago, when I started hanging out with a group of friends from junior high school (Class of ’57), we discovered that one of our most powerful memories as a group was writing what our English teacher called a “cyclical novel,” of which each of us wrote a chapter. Not everybody loved the assignment (I did), but when we pooled our collective memories, it was one of the few things that every single one of us remembered. This started me thinking about why that was so and exactly what kind of impact the experience had on us. 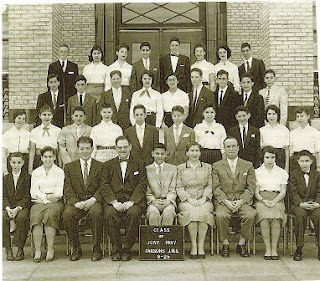 A little backstory first: we grew up in Queens (the second least cool of New York’s outer boroughs) in the Fifties and spent two years together at the ages of eleven to thirteen in a class for kids with high IQs and musical aptitude. None of us became musicians, and I’m the only fiction writer, but we have several accomplished poets, teachers, lawyers, academics, and one near-billionaire who walked away from tenure as a philosophy professor to become a financial wiz (very cool). We all rediscovered each other as a group shortly after the fifty-years-later mark. There’s a great fascination in getting to pool memories of yourselves at eleven. The boys have vivid, detailed memories of playing baseball every day at lunch. The girls remember who got interested in boys first and which teachers were supportive of our preadolescent angst. We all remember playing spin the bottle and the hoopla around invitations to the prom. We even remember some of what we learned in class. We were smart kids, after all. But writing that novel was powerful enough to stick in everybody’s mind. Interestingly, not everybody liked Mrs. P. She had a strong personality and tended to play favorites. Some remember that they loved her, others hated her and tell stories that provide ample reason. I liked her and did well with her—no more, because my mother was such a powerful role model for me that it never occurred to me to look for any others. This is relevant to my topic, because both these strong women gave the same message: You can do anything. Remember, it was the 1950s, when most girls were being groomed to be perfect housewives and mothers, even if they went to college, as we all expected to do. And even for the boys, I believe there was a glass ceiling, an unstated limit on what a middle-class Jewish boy from Queens could be. In this context, it meant a lot to us to be told, Yes, you’re eleven years old, and you can write a novel. I certainly believed I could. Maybe it’s thanks to Mrs. P that I had enough persistence to keep trying till I finally had my first novel published at the age of sixty-four. She eventually quit teaching and went to law school, probably when she was in her forties, if not her fifties. My mother used to run into her at Queens College, where she herself got a doctorate in political science at the age of sixty-nine, after having gone to law school in 1921. She too taught me that I could do anything. It wasn’t a matter of doing what these women did themselves. I never wanted to be a lawyer. But it’s probably thanks to them both that I went into the Peace Corps after college, took flying lessons in my thirties, became a therapist in my forties, and learned to use a computer in my fifties, so I could practice online therapy and write and promote my mysteries while sitting at the keyboard in my sixties. Also in my sixties, I spent four hundred hours in a recording studio singing, playing, and co-producing the songs I’d written over the years. The producing part took all the training of the ear and music theory skills I’d learned in junior high and stored in the back drawers of my brain for decades. I was relieved and delighted that that knowledge was still there, along with memories of Mr. C., our orchestra teacher, whom we all adored. He’s the one who made sure we participated in the all-city orchestra that performed on the stage at Carnegie Hall. The playing was way beyond our abilities, and most of the other musicians were already in high school. But he wanted us to have the experience—one that, like the cyclical novel, we all remembered half a century later. So how am I going to reinvent myself in my seventies? My eighties? My nineties? Hey, who knows? When I was eleven, I wrote a novel. At twelve, I played the cello at Carnegie Hall. I can do anything. And Betty MacDonald (THE EGG AND I, and the MRS PIGGLE-WIGGLE books) wrote a hilarious memoir called YOU CAN DO ANYTHING about surviving the Depression in Seattle. It seemed like every time she managed to find a job not only did the company go under but the entire occupation vanished. You can indeed do anything. Congratulations on your many accomplishments! Same to you, John! Rob, one reason I've kept reinventing myself is that several of my occupations have vanished, including manuscript-to-bound-book editor and midlist mystery novelist. Wow, that was nicely done, Elizabeth, and a superbly powerful ending. Applause for you and the writer in you.